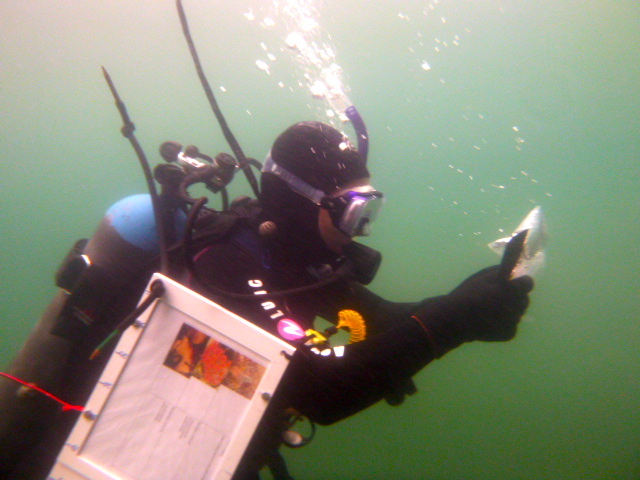 I have had a number of research and work experiences in biology, marine science, as well as education and outreach. I have spent six years coaching recreational gymnastics, and my passion for teaching has only grown through that time. Please see my “experiences and opportunities” section below for a more thorough discussion. Growing up I was the kid who seemed to be covered in mud more often than I was clean, and always sporting a big smile. I have always loved exploring and learning about life around me and how things work, and this translated naturally to pursuing a degree in biology with a strong background in conservation studies. 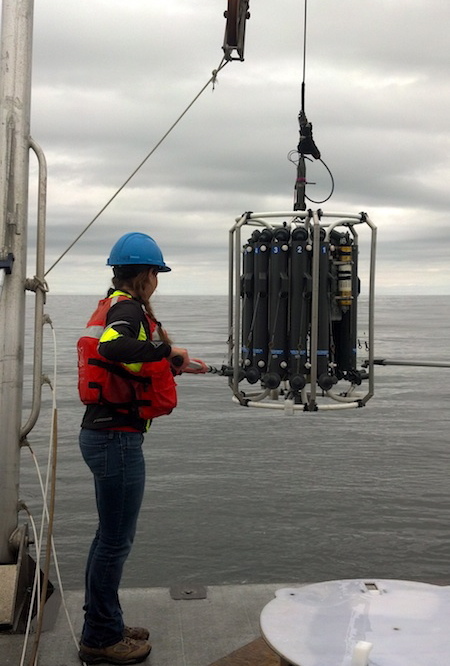 I became interested in physical oceanography specifically through a number of wonderful experiences in marine science. I further realized my interest in dynamic processes through my ecology class at George Mason University. It wasn’t until I conducted research on the Bermuda Institute of Ocean Sciences’ (BIOS) R/V Atlantic Explorer that I realized just how exciting physical oceanography can be–great science AND adventure, how could I resist?! On top of all that, I am still discovering the plethora of career possibilities within the field of physical oceanography. The Smithsonian-Mason Semester, in which I earned my Minor in Applied Conservation Studies and made many great friends, gave me the opportunity to explore numerous aspects of conservation and research science. The projects, studying, and field and lab work I performed during the program both helped to narrow my research interests to marine science, and opened doors for many opportunities within the field. From volunteering experiences with animal husbandry during that semester, I pursued a wild bird rehabilitation internship at the Marathon Wild Bird Center in the Florida Keys. I then returned to the mid-Atlantic and completed an internship at the Smithsonian National Museum of Natural History. There I worked on database modernization for the Cnidaria phylum, and cataloged and curated specimens for the United States Antarctic Program. I also assisted with species identification via morphological taxonomy for an Antarctic octocoral genus revision project. 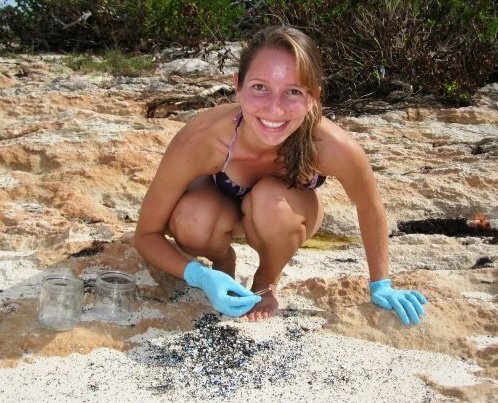 The following fall I participated in the National Science Foundation’s Research Experiences for Undergraduates program at BIOS, analyzing persistent organic pollutants on plastics in the marine environment. It was during this experience that I developed a strong interest in the movement of particles and water masses in the ocean, dynamic processes, and oceanographic research techniques. Upon returning to the United States, I pursued a spring internship with the Smithsonian Ocean Portal, applying my interests in education and outreach in marine conservation via social media development, prior to the launch of the Ocean Portal website. 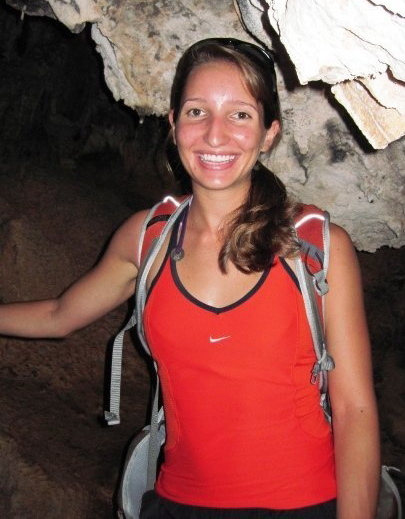 The following summer I moved to the Ocean State and led teens on outdoor expeditions with a focus on environmental education and leadership, through the University of Rhode Island’s environmental education campus. One trip in particular took us to the heart of Narragansett Bay to teach teens about intertidal surveying and water monitoring techniques, even a benthic trawl on Save The Bay’s M/V Alletta Morris-where I shared my background and passion for inspiring young people to study marine science. My broad interests in physical oceanography include nutrient flux and dynamics associated with algal bloom events. My thesis project focuses those interests on data analysis of multiple oceanographic sensors from the Monterey Bay Aquarium Research Institute’s (MBARI) Dorado autonomous underwater vehicle. I am specifically interested in determining what we can learn about plankton community composition from the Laser In-Situ Scattering and Transmissometry (LISST-100X) sensor, which detects particle sizes between 1.25 and 250 microns. I developed my thesis ideas and questions from my summer work at MBARI where I was fortunate for the opportunity to perform the Drew Gashler Internship with mentor Dr Jim Bellingham and the Long Range Autonomous Underwater Vehicle Lab. I will continue studying marine science and being involved in education and outreach. I intend to continue onto advanced studies in physical oceanography or a related field, and to develop a career wherein I can perform research and communicate that research through education and outreach. Thus far the most rewarding aspects of graduate school have been the opportunities to learn and explore, both through my own lab, courses and others’ research projects. Meeting people with similar interests and diverse backgrounds has taught me even more about paths to careers in marine science. I’d have to say some of the most challenging aspects have also been the most rewarding. I enjoy solving problems, and through applying my own approaches and working with others, there is a great feeling of accomplishment. Narrowing available opportunities and resources for research seems to be one of the biggest challenges so far! My advice is to consider all opportunities that come your way, and do your best to seek out new ones, even those that may not seem directly related to marine science. Pursue the opportunities and experiences that move you, and those that will challenge you academically and/or personally. Talk and listen to people, share your experiences, and don’t be afraid to be wrong! Planning is paramount to success, though a great attitude and flexibility will take you a long way. Also, time management is essential. Pursue opportunities but don’t overcommit yourself. Devote time to maintaining a healthy balance of personal and professional relationships so that you are happy in what you do.